This is the beginning or the end of a belated Fathers’ Day drawing for my dad (is that redundant?). 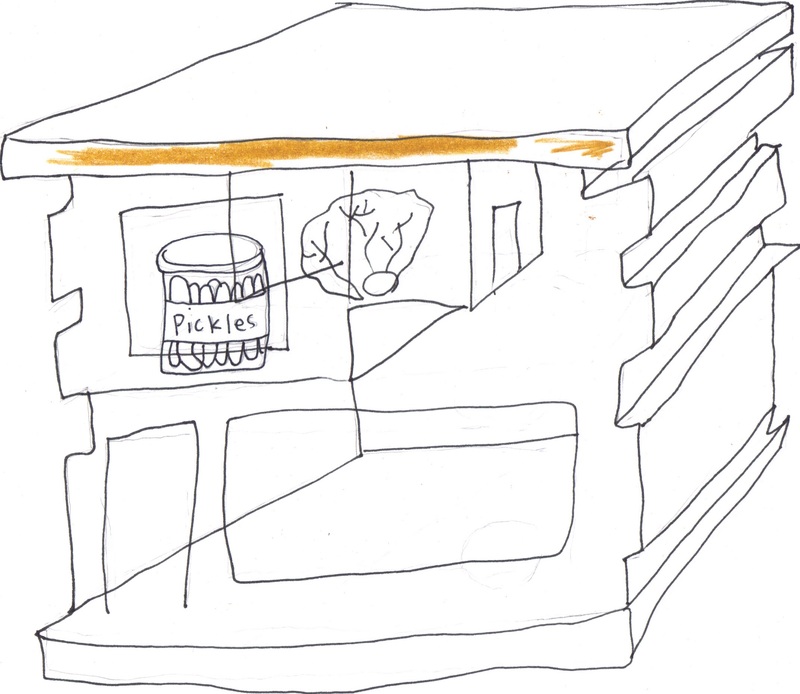 I initially wanted to make a sandwich house where all of the ingredients of the sandwich had little rooms and personalities. 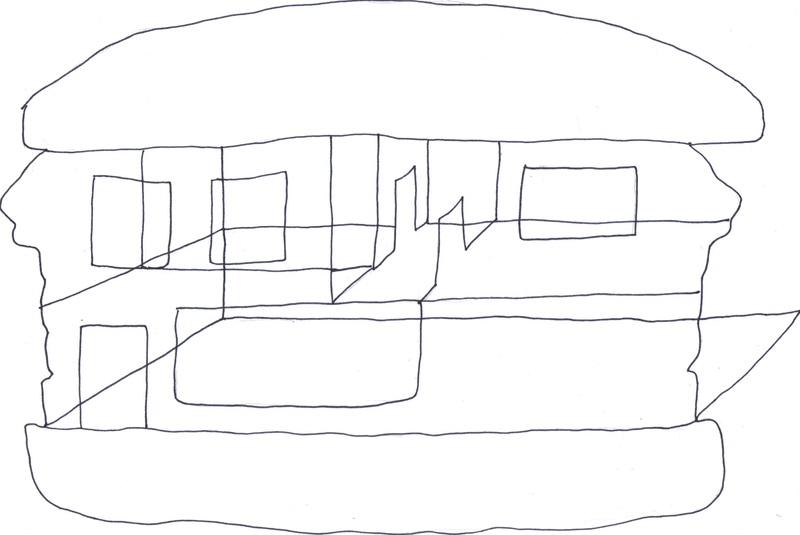 I showed my dad a draft of the drawing and asked him what ingredients he’d want in a sandwich. This basically turned into a conversation about how much we all wanted Tommy’s Burger (though we say “Tommy Burgers”). For the final draft, I started with pen and then colored the image with Photoshop (which I haven’t had in a year, so I’m still trying to figure it out). 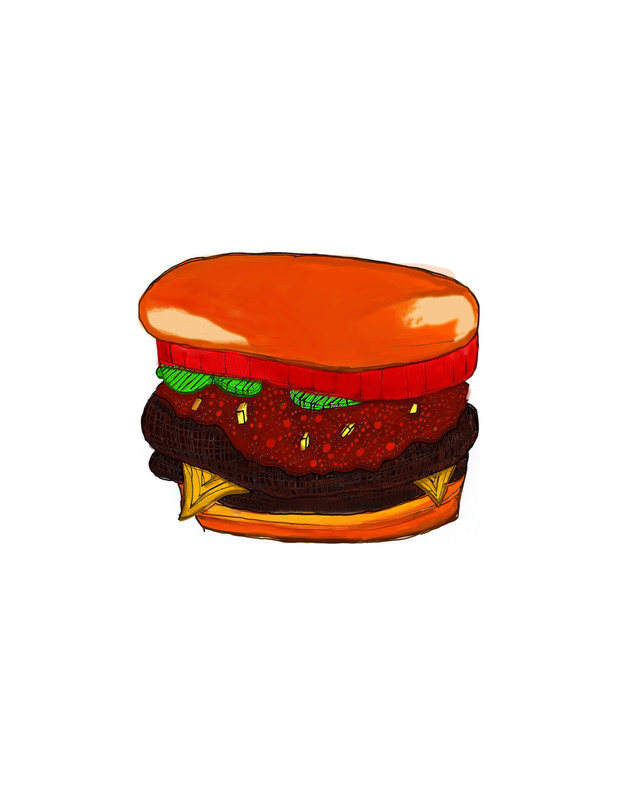 I don’t know if I should embrace the low brow aesthetic of this drawing and have the burger glowing somehow. Or maybe it’s more like pop art. 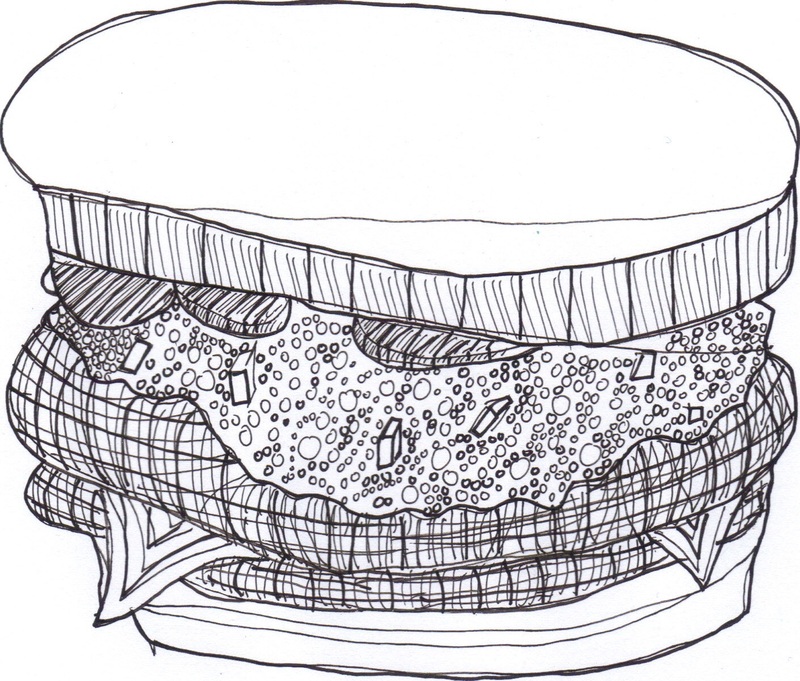 Hmm The final image seems like such a departure from the caricature of a sandwich that I started with. Which would my dad rather look at? Wow the final product does look totally different from the original sketch! !